In our kitchens, we focus on fresh and simple ingredients. We always have. Fresh, simple and thoughtfully prepared: It’s our philosophy of food. Since the beginning, we’ve been hand preparing delicious food in our kitchens because, well, it’s how we’ve always done it. What does the “A” in Chick-fil-A stand for? We use 100 percent whole breast meat with no added fillers or hormones, and by the end of 2019, no antibiotics – ever. Our Chicken Sandwich recipe was created by our Founder Truett Cathy, and it hasn’t changed in more than 50 years. 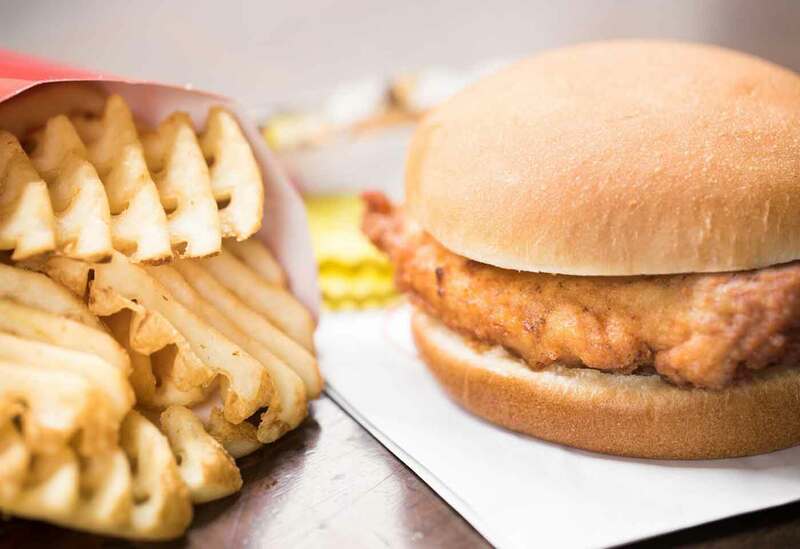 How do we make a Chick-fil-A Chicken Sandwich? We dip the chicken in a milk-and-egg wash (just like Truett’s mom taught him as a boy). Then, we bread it by hand. Finally, we pressure cook the chicken in 100 percent, fully refined peanut oil for a juicy flavor. Our pickles? They are sliced from cucumbers, then soaked for three full days before finally making it onto your Chicken Sandwich. Our salads are made of whole vegetables and fruit that are delivered fresh to the restaurant and hand-chopped throughout the day. No iceberg here, just romaine and baby greens. Our salads and wraps are made fresh throughout the day. 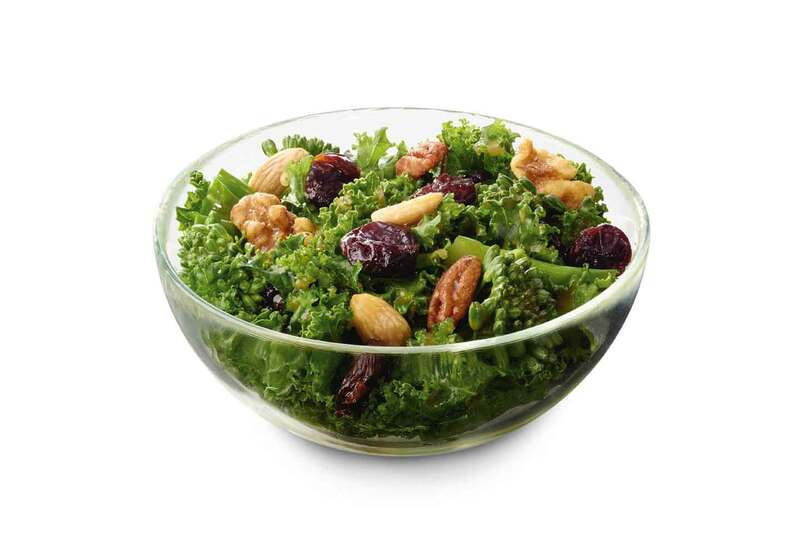 The Broccolini® in our Superfood Side comes from Salinas, California, also known as the “salad bowl of the world.” It’s grown by Mann’s, the only supplier of Broccolini® in the United States. Our lemonade is made from only the necessary ingredients: Water. Sugar. And of course, lemons. We are the largest U.S. purchaser of Sunkist® lemons. 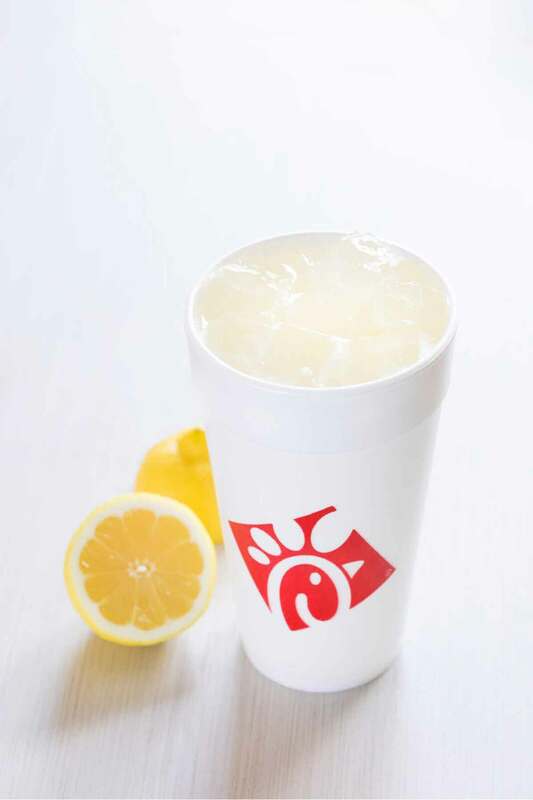 Our lemonade is a great source of vitamin C – 45 percent of your daily intake to be exact. We make 6.5 million gallons of lemonade each year! It takes 1,000 farmers, 60,000 lemon trees and 30,000 farm workers to help grow the lemons for our lemonade.